Brazilian Hardwood Decking - Is it Eco-Friendly? Is Brazilian Hardwood Decking Eco-Friendly? Yes. Our inventory meets all local IBAMA and US Lacey Act laws. 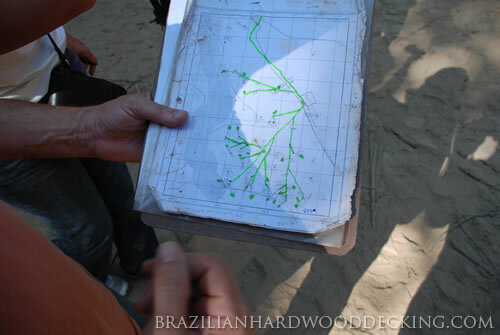 In fact, every species of Brazilian hardwood we sell has come from mills that employ sustainable cultivation and harvesting of tropical hardwoods. One practice that has led to the rapid decrease of deforestation caused by logging is the harvesting of trees that are dormant. These dormant trees have stopped producing seeds and actually steal resources such as light and water from the saplings that are growing around it. By cutting down those trees, those saplings can grow thanks to the replenishing of resources. Is eco-friendly wood decking from Brazil more expensive than composite decking? No. In fact, species like Garapa, Tigerwood, Cumaru, and Ipe are known for outlasting plastic-based decking materials at much lower costs. If you want to know more, contact us via the link below. We'd be happy to answer your questions and get you started on building your very own eco-friendly deck.